The Best Cruise blogs from thousands of top Cruise blogs in our index using search and social metrics. Data will be refreshed once a week. Also check out Cruise Youtube Channels. Cruise newsletter is a comprehensive summary of the day's most important blog posts and news articles from the best Cruise websites on the web, and delivered to your email inbox each morning. To subscribe, simply provide us with your email address. New York City About Blog Cruise Industry News is rated the most influential information source in the industry by cruise line executives and is the leading international media source on the industry. CIN publications are read by the decision makers at all the cruise lines and aboard the ships; and by shipyard executives, marine engineers, naval architects, and ship designers. Facebook fans 44,593. Twitter followers 33,361. About Blog A blog on Cruise news, tips and reviews so you can have the best possible vacation. Our goal is for Cruise Fever readers to be the best educated cruisers on the planet. Facebook fans 370,489. Twitter followers 4,550. New York City About Blog Cruise Industry News gives you the cruise industry today, its history, and its future. This blog covers all aspects of cruise operations: shipbuilding, new ships, cruise companies, ship reviews, onboard services. Facebook fans 23,586. Twitter followers 26,052. About Blog Latest cruise ship industry news from popular cruise lines along with articles, videos and cruise tips to help new and experienced cruisers. Facebook fans 50,223. Twitter followers 5,012. Orlando Florida About Blog A Florida travel writer taking you deep inside cruise vacations. News, tips and insider information about cruise vacations. Facebook fans n/a. Twitter followers 103,662. Seattle, WA About Blog A blog by Windstar Cruises. Read stories of our luxury cruise line about people, destination and events. Get tips on traveling abroad, testimonials from past guest and stories of our favorite destinations. Facebook fans 113,345. Twitter followers 40,048. Miami, FL About Blog News & Updates from the Fun Ships. Carnival is The Worlds Most Popular Cruise Line® with 25 ships operating 3 to 16-day voyages to The Bahamas, Caribbean, Mexican Riviera, Alaska, Hawaii, Canada, New England, Bermuda, Australia, New Zealand and the Pacific Islands. Facebook fans 4,909,072. Twitter followers 226,158. Florida, USA About Blog Each week Doug Parker of Cruise Radio brings his audience up-to-date on cruise news, vacation trends, ship reviews and will keep you on the cutting edge of the everything cruising. Facebook fans 86,037. Twitter followers 21,016. Blogger of the Seas About Blog Royal Caribbean Blog offers daily coverage of news and information related to the Royal Caribbean cruise line along with other relevant topics of cruising, such as entertainment, news, photo updates and more. Facebook fans 120,736. Twitter followers 20,514. London About Blog Iglu Cruise the UKs largest cruise travel agency keeping you up to date with the latest news, unbeatable offers & travel chat. Facebook fans 18,208. Twitter followers 3,726. London, England About Blog Ships and Champagne is a website dedicated to providing first hand, expert, unbiased information for people researching or looking to book cruise holidays, with helpful tips and tricks on getting the best value for your money. Facebook fans 6,538. Twitter followers 4,005. United States About Blog EatSleepCruise is one of the top cruise blogs sharing reviews, cruise tips, photos, and plenty of good clean fun. Facebook fans 5,321. Twitter followers 7,893. Maryland About Blog Your trusted source for the latest cruise news and travel advice by Cruise web. Facebook fans 4,792. Twitter followers 2,045. Santa Monica, CA About Blog How to travel around the world: Find best hotel and flight offers, tips and secrets. Aside from the obvious fun involved, traveling can transform you on so many levels. It provides happiness and satisfaction long after the trip is over. Facebook fans 35. Twitter followers 103. Dallas, TX About Blog An amazingly simple cruise itinerary aggregator that only in 2 clicks and less than 30 seconds proposes day-by-day schedule of a cruise with articles from real travelers and a complete list of attractions and activities in each cruise port of call and on the cruise ship. Facebook fans 12,914. Twitter followers 1,739. London, UK About Blog A blog byScott Anderson about the latest reviews, articles, and news, keeping you up to date with the additions to fleets, interviews with crew, and feedback on the best cruise. Facebook fans n/a. Twitter followers 13,890. Braga - Portugal About Blog The Blog of Cruises is a blog about the world of big cruises created by Nuno Ribeiro in 2009 and where he shares his trips and experiences aboard cruise ships. Enthusiastic about ships and passionate about cruises, it has stopped cruising seas and oceans since it first boarded in 2008. Facebook fans 221,981. Twitter followers 219. About Blog Porthole offers cruise and travel features about destinations, voyages, ship reviews, readers' picks, onboard cuisine, entertainment and many more. Facebook fans 29,528. Twitter followers 20,396. United Kingdom About Blog The UKs leading specialist consumer cruise publication aimed at cruise lovers and designed to inspire and help readers plan their next holiday. Here you can find the latest and breaking cruise news for ocean cruise lines, river cruise operators and adventure cruise specialists. Facebook fans 4,282. Twitter followers 15,677. Tampa, Florida About Blog Cruise Addicts is an on-line community for those who love cruise travel. Our active Forums, Cruise Ship Reviews, Cruise Tracker, Photo Galleries, Industry News and much more. Facebook fans 9,036. Twitter followers 22,127. Anywhere but in the air. About Blog A blog by Sherry on latest cruise and travel news, river and ocean cruise experiences. Facebook fans 27,534. Twitter followers 19,128. Montreal, Canada About Blog Ilana Schattauer is the cruise enthusiast and travel writer behind Life Well Cruised. Working in the cruise industry for more than a decade, Ilana believes that we can all have amazing travel experiences, all while enjoying ship life of course! Cruise tips, ship reviews, destination guides and more. Facebook fans 846. Twitter followers 37. Tampa, Florida About Blog Becky - Travel blogger, cruise addict, mum & step-mum to 2 boys. Blogging about my adventures and building the largest community of Cruise Addicts across social platforms. Facebook fans 500. Twitter followers 22,186. At sea About Blog All Things Cruise is a leading source of information for cruise enthusiasts. You will get cruise tips, news, ship & port reviews and more. Facebook fans 1,373. Twitter followers 5,349. About Blog Cruzely has helped millions of visitors prepare for their vacations. With hundreds of articles on every facet of cruising from getting the best deal to what to pack there is something for every cruiser to learn. About Blog For Special Needs Disability Senior Cruises look no further than Wheelie Good Cruises. Facebook fans 6,837. Twitter followers n/a. About Blog Cruise Cotterill is your home port for everything cruise! From cruise news and reviews, ship visits and drawings from world renowned artist and cruise blogger, Harry Cotterill. Facebook fans 1,934. Twitter followers 1,744. About Blog Welcome to Sean & Stef IRL. They are a married couple who live in Orlando and work as hard as they can to travel as much as they can. Facebook fans 4,465. Twitter followers n/a. Facebook fans 6,523. Twitter followers n/a. London About Blog Inspiration, advice and tips on finding and having a luxurious travel experience on land and at sea. Video, audio podcasts, articles and books based on Gary Bembridge's first-hand experiences of travelling every month of every year for over 25 years. Facebook fans 6,412. Twitter followers 4,783. Facebook fans 29. Twitter followers 514. San Diego, CA About Blog A blog by Jason Leppert refreshing oasis for cruise reviews and behind-the scenes explorations of cruising in videos, photos, and words. Facebook fans 7,362. Twitter followers 2,410. Prestwich, Manchester About Blog Latest Cruise News & Blogs From Cruise Club UK. Follow us for Exclusive Cruise Deals, News, Reviews & More from award winning Cruise Experts. Facebook fans 6,679. Twitter followers 640. Newcastle, England About Blog A cruise blog with a difference by Danielle. Follow this blog as I take you on a journey through the world of cruise travel. Facebook fans 7,134. Twitter followers 7,142. Facebook fans 241. Twitter followers 424. About Blog Cruise panorama is a versatile online cruise travel magazine. You will get reviews & news of major cruise lines, ships, destinations, ports of call, shore excursions, land tours, tips, deals. Facebook fans 6,771. Twitter followers 9,479. About Blog Your Industry Insider Source for Information, News and Analysis of the Cruise Industry. Facebook fans 24. Twitter followers 1,745. About Blog I love cruising and taking pictures! That's where I got Cruise Everyday, ya see. Bringing You Awesome Pictures, Top Stories, Breaking News, and more! Facebook fans 538. Twitter followers 282. About Blog This ‘blog’ is more of a cruise ‘web site’ really. It is aimed at anyone interested in Cruise Ships, Ocean Liners, Ferries and River Cruises. It features cruise news, my ship reviews and many of my own images. There are also links to my own video and photographic material on ‘YouTube’. Calgary, Alberta About Blog Our goal at From The Deck Chair is to give you information about all there is to know about cruising. From Unique itineraries, Luxury Lines, Mainstream Lines and all the small stuff you thought you knew but don't. Facebook fans 373. Twitter followers 4,167. On a Cruise About Blog This blog is about Cruise port information, excursions, port hotels, cruise port parking, transportation. Facebook fans 2,372. Twitter followers 1,511. About Blog Interested in learning more about cuising? We offer tips, tricks, and inside information on the best ships, ports, excursions, and inside information! United States About Blog I'm here to share with you my adventures along with a few tips here and there as I continue to evangelize cruising! I hope you enjoy the journey! Facebook fans 206. Twitter followers 543. Sydney, New South Wales About Blog Australian Cruising News.com.au is Australia's only dedicated website promoting the cruise ships that are based, and home ported in Australian waters every Australian cruising season. Facebook fans 3,902. Twitter followers 942. About Blog Your All Inclusive Guide to Traveling by Cruise. Destinations, Lines, Shore Excursions, Packing and Planning Tips. About Blog Cruisemeet is your ultimate guide to cruise lines, cruise ships, cruise ports and destinations from around the world! View our latest news, guides, photos! Facebook fans 6,108. Twitter followers 977. Dubai About Blog Cruise Arabia is an online cruise magazine for the Gulf. Every day we'll be adding cruise industry news updates, cruise reviews, ship reviews, industry features and much more with a primary focus on the regional cruise market. Facebook fans 10,831. Twitter followers 844. About Blog Cruise Addict provides cruising news, offers, reviews, guides and all things cruise related. England, United Kingdom About Blog I’m Laura and I have a passion for travel. I find that cruising enables me to pack in lots of new and exciting places into one trip, I also love food and dressing up so a cruise is perfect for me! I started this blog to share my experiences of cruising, to offer tips and suggestions for what to do whilst on-board and when visiting destinations. Where are the best places to eat? Facebook fans 58. Twitter followers 988. England, United Kingdom About Blog I went on my first cruise about 8 years ago with my mum and my sister, I loved it and I was addicted straight away! do you cruise? is a travel blog, set us to show that cruising can be for anyone. Looking at crusing with a fresh perspective. I hope that through setting up this blog I can work to dispel these myths and encourage other younger people to just give it a go. Facebook fans 4,855. Twitter followers 3,989. Dorset, England About Blog The Cruising Baker emerged as a branch from British Cruising and so as well as writings about my travels, baking and explorations, I aim to keep you updated on the latest news and happenings from the UK cruise industry. Honestly, food and cruising…I can’t think of two better matched subjects! Facebook fans 1,181. Twitter followers 260. United Kingdom About Blog I’m Claire, a self confessed cruising addict, with a serious case of itchy feet that not even Daktarin can cure. I have been infected with the travel bug. My aim is to share with you a collection of memories, offer you help and information on: cruise, travel, lifestyle and to give you an insight into my hopes and dreams (you're kindly looking at one of them now) Furthermore, I would like to share all that is in between. About Blog Tips and teasers designed to entertain and inform veteran and newbie cruisers alike. England, United Kingdom About Blog Unpacking the myths about cruise holidays. Tried and tested cruising advice from a thirty-something officer's wife. Facebook fans 1,022. Twitter followers 1,228. All over the world About Blog This Blog aims to provide a mixture of the latest cruise news with cruise ship photos and cruise reviews. Facebook fans 712. Twitter followers 515. London & Hampshire About Blog A 30-something blogger who is passionate about travel and specifically cruising. Facebook fans 908. Twitter followers 2,434. Jacksonville, Fl About Blog Cruise News, Reviews and Tips! Facebook fans n/a. Twitter followers 3,960. About Blog Cruise Ship Crayz began in 2012 as a small blog on Tumblr. Starting as a small blog to share everyday thoughts of the cruise industry and spread industry awareness through the eyes of an avid cruiser with no media influence, Cruise Ship Crayz began to provide cruise news and opinions internationally. Facebook fans 79. Twitter followers 468. About Blog This is a community for sharing cruise-related experiences, opinions, news, etc. Facebook fans 1,210,337. Twitter followers 578,054. New Jersey About Blog Goldring Travel is a world-class luxury travel agency which specializes in the luxury cruises of Seabourn, Silversea, Crystal and SeaDream. Enjoy our blog and all it has to offer; travel industry executives do! Consider this: If Goldring Travel provides this much candid opinion and analysis here, imagine how much more Eric Goldring will have to offer when you call or email when considering your next travel experience. Facebook fans 3,379. Twitter followers 171. About Blog The world's largest online cruise resource helps you find and plan the best cruise possible. Complete guide to cruises, cruise lines and exclusive cruise deals. Over 50,000 cruise reviews, ship ratings and the largest cruise forum. Facebook fans 404,716. Twitter followers 82,930. London, England About Blog We are Sandra and Chris, two Brits from South London who started cruising in 2009 as part of our goal (now achieved) to visit all 50 US states. We are also attracted to brand new cruise ships so watch out for more of these in our live posts. Los Angeles About Blog A blog about Cruise & Maritime News. Ships from a technical, historical, social & aesthetic perspective. Published by Martin Cox online since 1997. Facebook fans 6,791. Twitter followers 2,867. Miami FL About Blog "Everything the cruise lines don't want you to know" is the motto of this award winning maritime law blog authored by Miami lawyer Jim Walker. The goal of Cruise Law News (CLN) is to discuss incidents at sea on cruise ships and in ports of call, and to educate the public about the legal rights of cruise ship passengers and crew members. Facebook fans 216,642. Twitter followers 12,640. In the air or sailing 7 seas About Blog A blog by Anita Dunham-Potter. ExpertCruiser empowers travellers with the skills necessary to enjoy cruise travel throughout the world. You will find current events and issues relating to the growing world of cruise travel and their Internet travel web sites. Facebook fans 189. Twitter followers 6,501. About Blog Help for the novice cruiser to figure out the ropes of cruising. About Blog The award-winning cruise travel news, information, and editorial blog authored by Linda Coffman. Facebook fans 69. Twitter followers 6,098. About Blog A blog about cruising and the various ports around the world. About Blog Welcome to cruisential, we are a provider of cruising gift pack and souvenirs in a form of puzzle pieces, game boards, paintings and many more. View our cruise blogs and articles about the cruising world. Learn from our travel experience and share it with your travel buddies. Facebook fans 364. Twitter followers 1. About - To provide interesting posts regarding various topics of the Royal Caribbean International cruise line and the ports of call it serves. We promise to provide these stories to you consistently and without being influenced by Royal Caribbean itself. About - The world's largest online cruise resource helps you find and plan the best cruise possible. Complete guide to cruises, cruise lines and exclusive cruise deals. Over 50,000 cruise reviews, ship ratings and the largest cruise forum. About - "Everything the cruise lines don't want you to know" is the motto of this award winning maritime law blog authored by Miami lawyer Jim Walker. About - Cruise Industry News gives you the cruise industry today, its history, and its future. This blog covers all aspects of cruise operations: shipbuilding, new ships, cruise companies, ship reviews, onboard services. About - Get the latest Cruise reviews, videos, deals & the best guides from CruiseDeals.co.uk. Discover cruise holiday insights from our very own experts. About - Unpacking the myths about cruise holidays. Tried and tested cruising advice from a thirty-something officer's wife. About - Dave Monk began writing about cruising in 2005 and was voted best blogger in the Cruise International Awards 2016. About - Our Blog is updated daily with the latest cruise news and information from top tips, experiences, new ship launches, travel guides and expert opinions. About - Founded in 1987, Adventure Canada was created to bring travellers to Canada’s “blank spaces,” those areas whose remoteness alone made them special. About - Regal Cruises and Travel is a full service travel agency specializing in Cruising, River Cruising and Exotic Hosted tours. About - Welcome to the Cruise Travel Blog - a section dedicated to all the latest developments and innovations in the exciting cruise industry. About - Cruise Passenger is Australasia’s #1 destination for cruise enthusiasts. Our site is packed full of ship reviews, destinations and cruise news! About - The mission of Cruise Weekly is To keep Australians and New Zealanders up to date with all the latest cruise information. About - Australian Cruising News.com.au was associated with Shipmateapp.com which have an App that promotes many of the world wide Cruise Lines called Shipmate App. It shows you on how you can use the App and what its purpose is. What we are doing is having an active involvement in promoting the Australian Cruise Industry here in Australia. 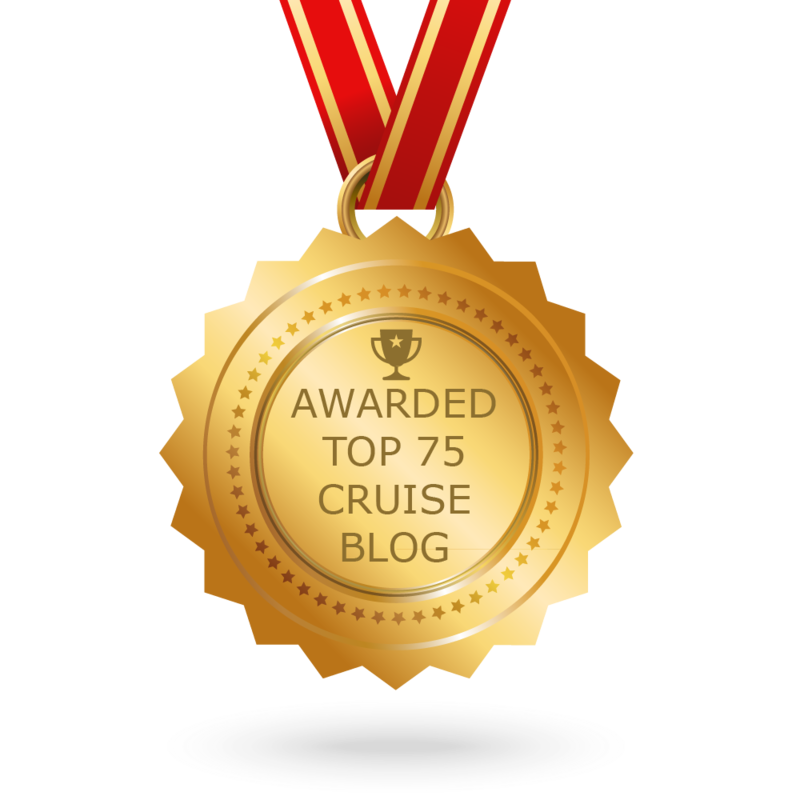 CONGRATULATIONS to every blogger that has made this Top Cruise Blogs list! This is the most comprehensive list of best Cruise blogs on the internet and I’m honoured to have you as part of this! I personally give you a high-five and want to thank you for your contribution to this world.